One of the most common search tasks is to look for current job openings. We created the Jobs module to help searchers quickly find relevant jobs. When you turn on the Job Openings module, searchers looking for jobs on your site will see up to three relevant jobs listings on your results page. You will need to contact us to get the Jobs module enabled for your site. Federal Cross-Agency Portals. If your website is a federal cross-agency portal (e.g., USA.gov), the Job Openings module will return relevant, location- and keyword-matched job openings across all federal agencies. Federal Department Websites. 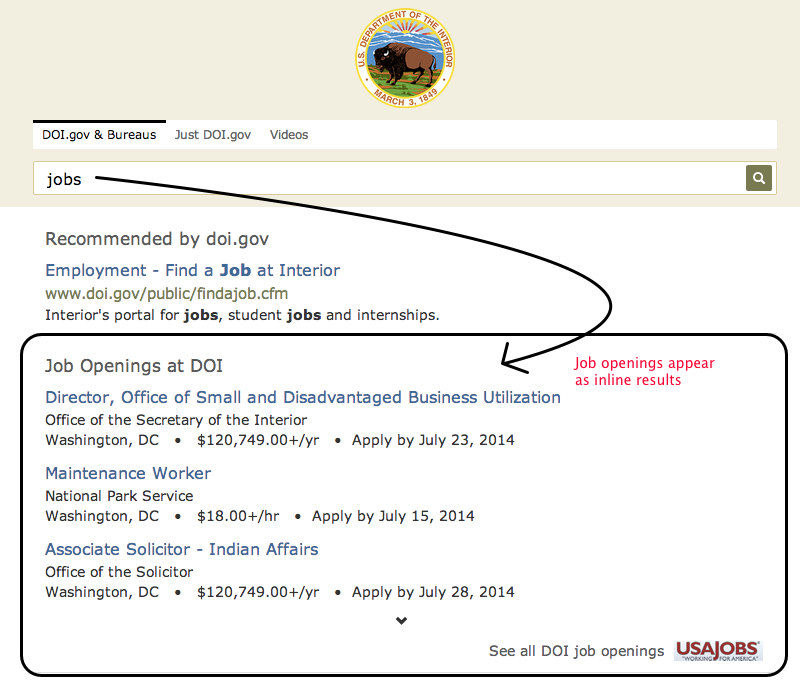 If your website is affiliated with a specific federal department (e.g., Department of Commerce), the Job Openings module will return relevant, location- and keyword-matched job openings across all agencies within your department. Federal Agency or Office Websites. If your website is affiliated with a specific federal agency (e.g., NOAA) or office (e.g, National Ocean Service), the Job Openings module will return relevant, location-and keyword-matched job openings at your agency. Searchers will also see a direct link to USAJobs.gov for all current job openings (specific to your department or agency, if applicable), as shown in the sample below for a search on jobs on DOI.gov. Did you know? 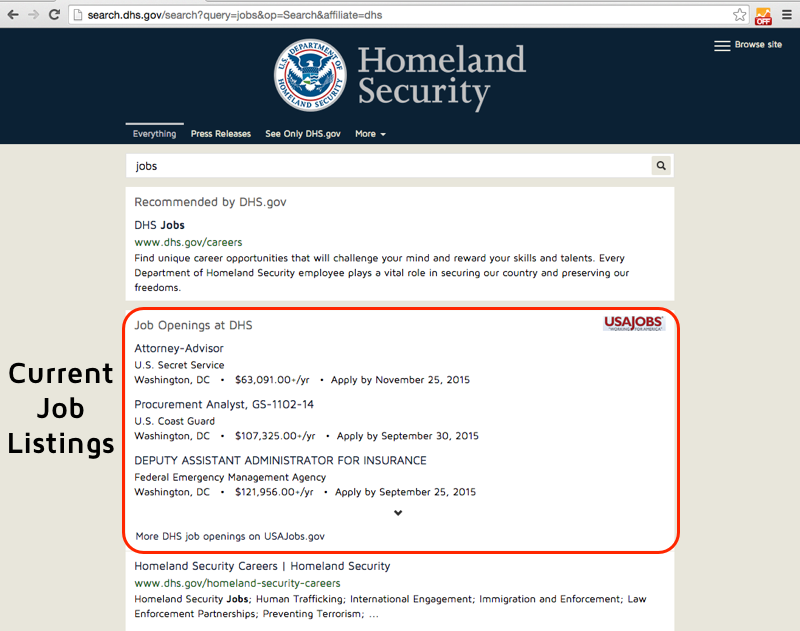 Are you a federal agency that doesn’t post your jobs on USAJobs? We want your jobs data. Email us at search@support.digitalgov.gov to let us know where you publish your job openings so that we can include them in the Job Openings module.